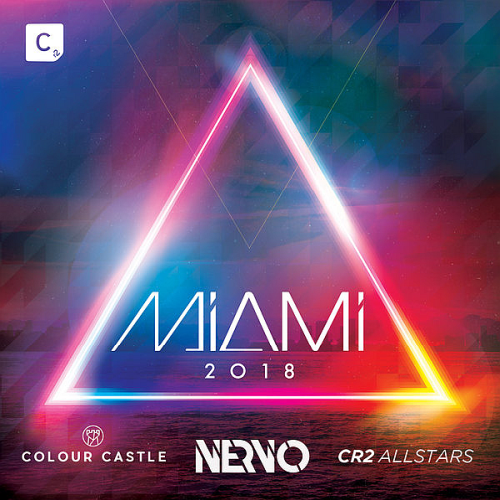 Date: 9.03.2018 | House, Electro, Club | Tags: CR2 Digital, Cr2 Compilations, Miami, Nervo, Colour Castle, Cr2 All-Stars, Pierce Fulton, Nicky Romero, Colour Castle, Trutopia, Sean Roman | Download Nervo, Colour Castle & Cr2 All-Stars - Miami 2018 for free. The world-renowned Cr2 Ibiza compilation series returns this year with mixes special Cr2 AllStars mix hand picked and curated by Cr2 resident producers, staff and friends of the label. Illyus & Barrientos kick off 2018 in style with So Serious, a stunning record that has been causing some serious damage at club level in recent months. Sonny Alven, the winner of the remix competition, has completely altered the song to a smooth, and inspiring rendition of the original. The Sevag remix is the most energetic of the pack, injected with intoxicating groove and built for dance floors. Like Air marks the very first release on Nervo Got Me Baby! Records. Tiptoeing through a brilliant build-up filled with velvet vocals and impeccable rhythms, this link-up between Nervo and Wolfpack will remain a dancefloor essential for years to come.